Commercial radio took a record total of £713.3 million in ad revenue in 2018, breaking the previous 2017 record of £679.2 million, Radiocentre CEO Siobhan Kenny has announced at Tuning In Scotland in Glasgow this morning. The 5.1% increase year-on-year marks the third consecutive year of record-breaking revenues for the medium. This news comes on the day that commercial radio also posted audiences of 35.6 million listeners (up from 35.5 year on year), as well as its highest share of listening since 2001 (46.5%) according to Rajar. Sky remains the UK’s biggest spender with an investment of £17 million. However, radio’s revenue surge is also down to online companies taking advantage of commercial radio’s significant weekly reach. Amazon bolstered its investment by 36% and online estate agents by 110%. Continuing the trend for online and technology businesses investing in radio, online recruitment spend was up by 38%, while broadband (+70%) and mobile (+43%) sectors also enjoyed big increases. Insurance brands combined hiked spend by 142%. 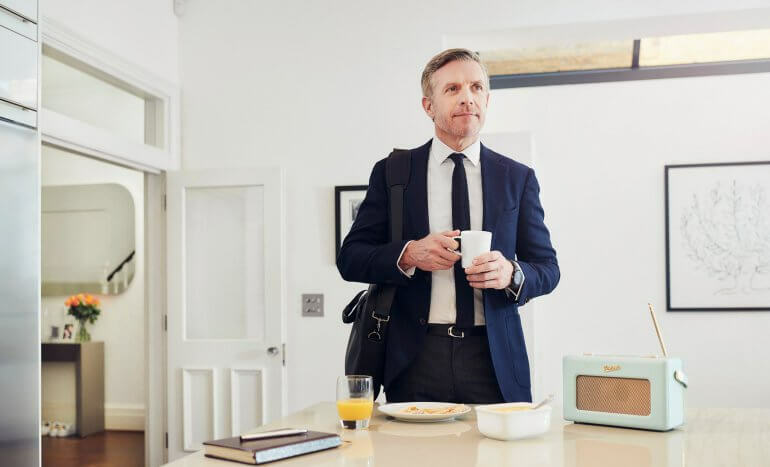 Direct Line led the way, fully harnessing the power of radio after the brand strengthened its commitment to traditional media channels for long-term brand building last year spending a total of £7.9m on the medium. Cosmetics and Personal Care brands like Boots Soltan and Garnier Ambre Solaire significantly increased their radio spend, a turning point in a sector that has traditionally shied away from advertising using the non-visual channel.